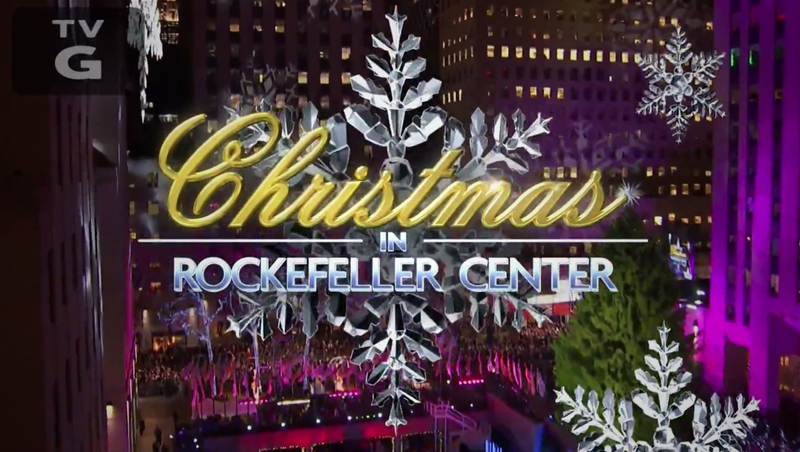 The 2018 “Christmas in Rockefeller Center” special, which aired Wednesday, Nov. 28, 2018, and was packed with musical and dance performances, also incorporated metallic rotating snowflakes in its graphics — including behind the script logotype. NBC’s key art for the special used a retro, art-deco inspired typeface. The show’s open also showcased performer names in a red diamond in a look and style very much in line with the network’s Macy’s Thanksgiving Day Parade coverage. Like the parade, “Today” anchors Savannah Guthrie, Hoda Kotb and Al Roker hosted the tree lighting special — with Craig Melvin, who was recently appointed as a de facto fourth co-host, joining. 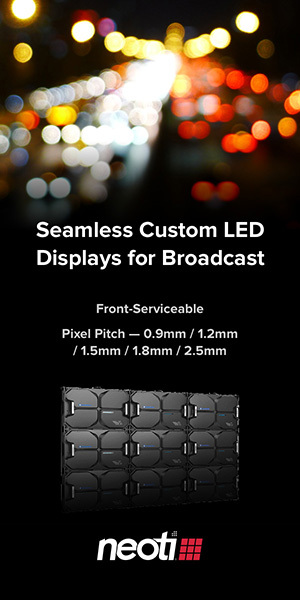 Although Studio 1A wasn’t used during the coverage, its giant LED video wall facade could be seen in many shots with matching graphics. Large video screens perched on the setbacks of the 30 Rock tower also showcased matching graphics and live feeds of the programming for the crowd gathered in the plaza. 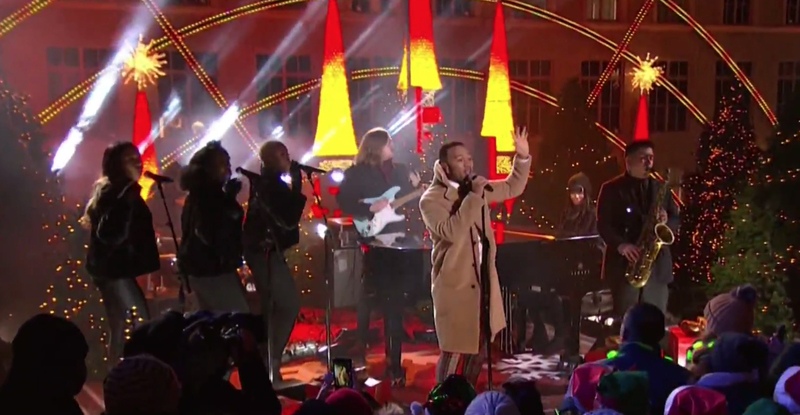 Several pre-recorded performances were done from the rooftop one of the Rockefeller Center buildings, including John Legend’s opening number. NBC took advantage of the festive lit front of Saks Fifth Avenue across the street and exterior of neighboring St. Patrick’s Cathedral. Other performances taped in the location switched to different lighting effects. 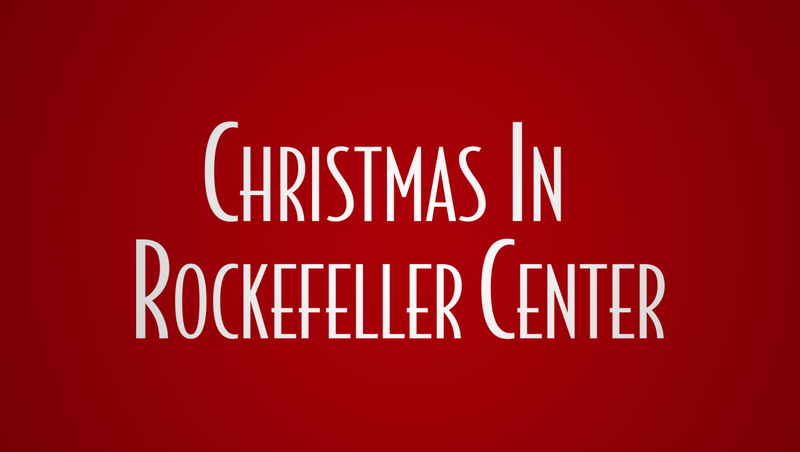 The snowflake motif, meanwhile, was incorporated onto giant projects on the sides of neighboring buildings, as part of a dramatic and complex lighting design setup that included special effects during the countdown to the tree lighting and immediately after. The Radio City Rockettes perform in front of the statue of Prometheus next to the ice skating rink in Rockefeller Center.